Plate it on a big serving platter and then pull the meat from the bones and serve. Mmmmm… that looks great. And tastes even better. This is a very rich dish and it actually made enough for three meals which I had over several days. The flavor developed even more after sitting in the fridge and on the third day I was moaning with pleasure as I finished it off. It was so good that I made it again, this time with smoked pork shanks which gave it almost a completely different flavor. Either way it’s a great dish. 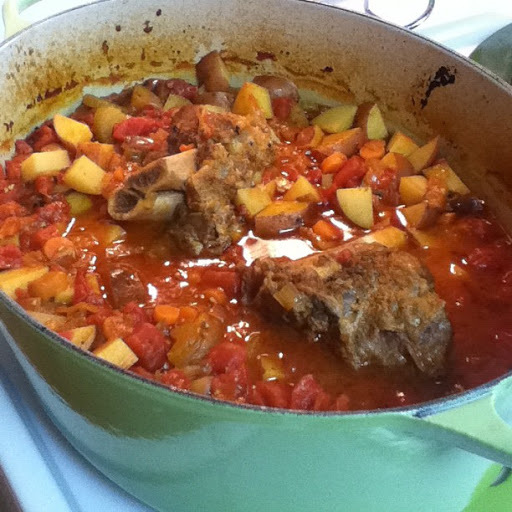 I cooked up two pots of shanks according to this method. 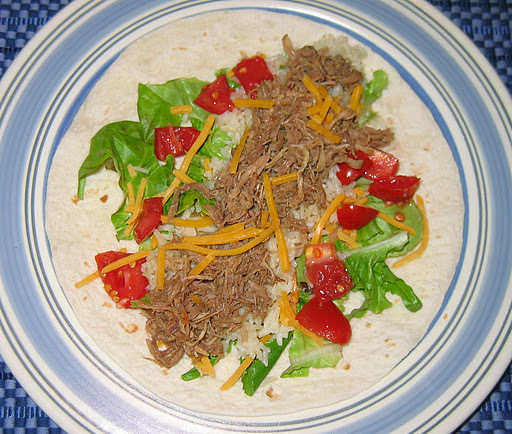 Along with the BBQ pork sandwich meal we had from them, I ended up with 9 pints of shredded pork that I will use for stir fry, fajitas, pulled pork sandwiches, and BBQ pork sandwiches. I still had a bit of pork broth left from canning soup bones, so I decided to use this broth to soak and can beans in, adding extra flavor and nutrients to my beans. I ended up with 5 quarts of flavored navy beans, 8 pints (we ate 2 already) and 2 quarts of baked beans/pork and beans, and 8 pints of flavored black beans. 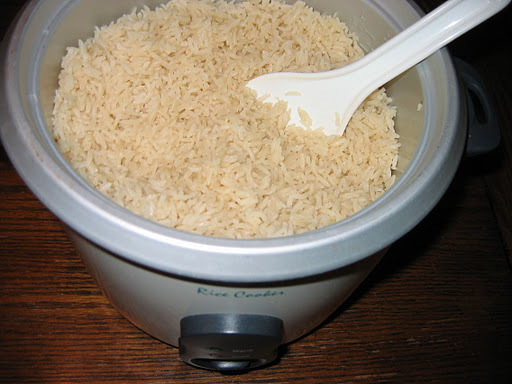 * Place ham hock or shank in a crock pot or pan with just enough water to cover. Cook on low or simmer 6+ hours or overnight. The longer you cook them, the more tender and nutrient rich it gets. 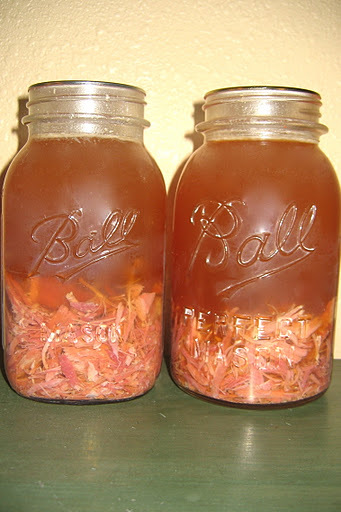 You can add a tsp or so of vinegar to help draw out nutrients from the ham hock. You can also add a variety of veggies and spices while cooking to flavor your stock even more if desired. *** If you chose to add the meat back in, try not to stir the hock while it is cooking so the meat doesn’t separate. It is VERY tender when cooked this way. 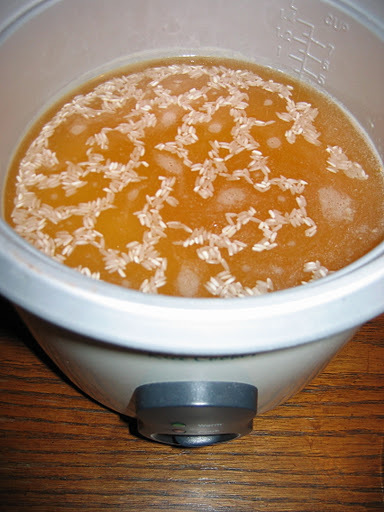 Your ham or pork broth is done and is ready to use, freeze, or can. 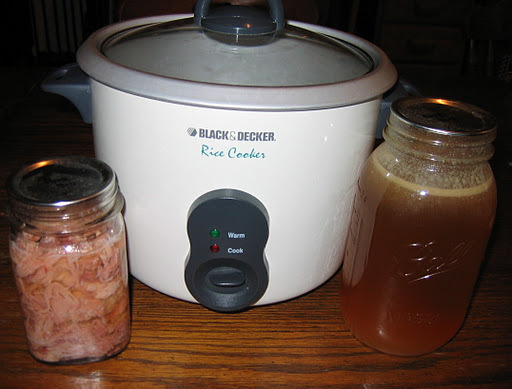 Our favorite uses for ham both are ham and noodles, bean soup, and lentil soup, and our favorite uses for shanks are fajitas, pulled pork and BBQ pork sandwiches, and flavoring rice and noodles with the broth.